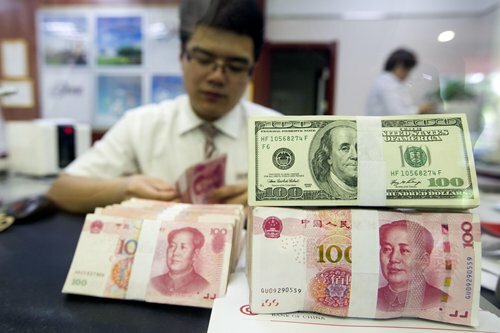 China has not used, nor will it use, the yuan’s devaluation as a tool to negotiate with the US amid the China-US trade spat, experts told the Global Times, stressing the weaker yuan is a natural reflection of low market expectations due to escalating trade tensions. China’s currency, the yuan, closed at 6.6250 against the US dollar on Thursday, 300 pips weaker than the previous trading day. It weakened to its lowest point since November 21, 2017, according to the China Foreign Exchange Trade System. Ding Shuang, head of Greater China and North Asia Economics Research at Standard Chartered Bank, told the Global Times Thursday that the yuan’s devaluation over the past week was partially due to the strengthening of the US dollar based on a trade-weighted basket of currencies. The other main factor came from the bearish market expectations resulting from the current trade tensions between China and the US, which consequently increased the purchase demand of the greenback, in turn further increasing expectations and causing the yuan’s devaluation, Ding explained. On June 15, the Trump administration said that $34 billion worth of Chinese goods will be subject to tariffs starting from July 6, with an additional $16 billion worth of products undergoing further review. In response, China’s Ministry of Commerce provided on June 16 a list of 545 US imports, including soybeans and electric vehicles, worth roughly $34 billion that will be subject to a 25 percent tariff, also starting July 6. The yuan might face further devaluation pressure in the short term, but it is very likely to be mild, said Zhou Yu, director of the Research Center of International Finance at the Shanghai Academy of Social Sciences. “Trump’s trade protectionism via imposing tariffs, in fact, will have limited impact on Chinese economic development,” he said, stressing there should not be so much pessimism about the yuan. Experts opine that the People’s Bank of China (PBC), the country’s central bank, has not intervened in the market. Instead, it has held a market-driven attitude toward the yuan’s performance in a reasonable range. “At present, the PBC has only released some signals via adjusting the yuan midpoint, but has not taken any specific measures,” Ding noted. On Thursday, the PBC lowered its yuan midpoint for the seventh straight trading day to 6.5960 per dollar, 0.6 percent weaker than the previous fix of 6.5569, data from its website showed. Ding forecast that the central bank is likely to “do something” when the spot yuan rate breaches around 6.8 per dollar, preventing potential risks, including capital flight and instability in the domestic financial system. However, China will not use the tumbling exchange rate to gain an advantage amid China-US trade frictions, experts said, rejecting an early Bloomberg report claiming the country will use the currency as a tool in trade negotiations with the US. To some extent, the yuan’s depreciation against the greenback can enhance China’s export competitiveness, partially offsetting the US tariffs, said Zhou. “Currency devaluation is not a long-term approach since it is a double-edged sword. A delicate balance is very important to ensure the country’s economic transformation and upgrading,” added Ding. 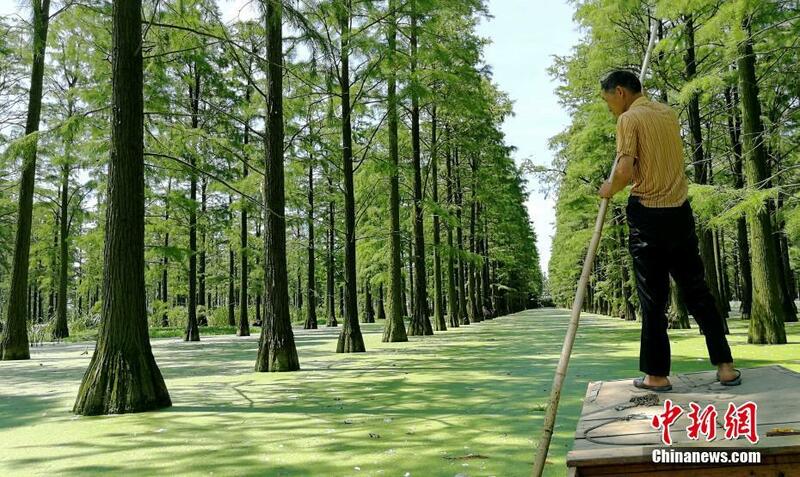 As the summer heat invades Wuhan in central China’s Hubei province, the Zhangdu Lake Wetland in the city turns into a water wonderland, perfect to escape the scorching weather. 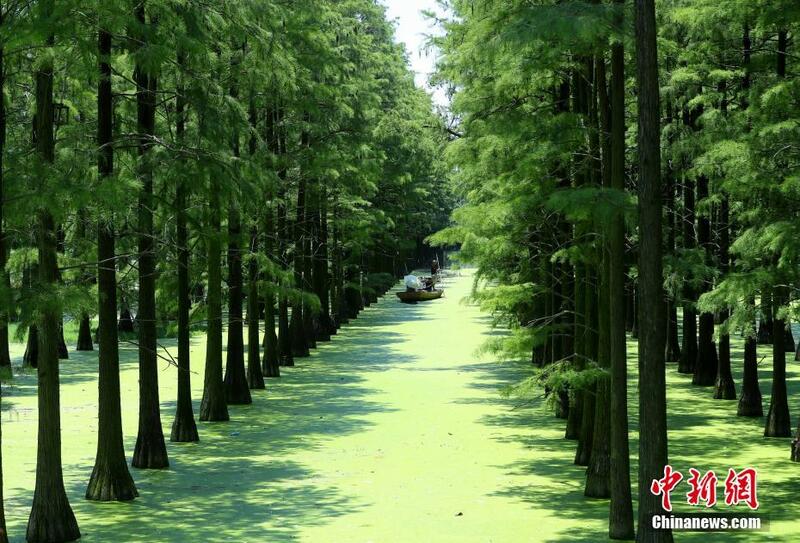 Close to the Yangtze River, the wetland has over 10,000 ponds. 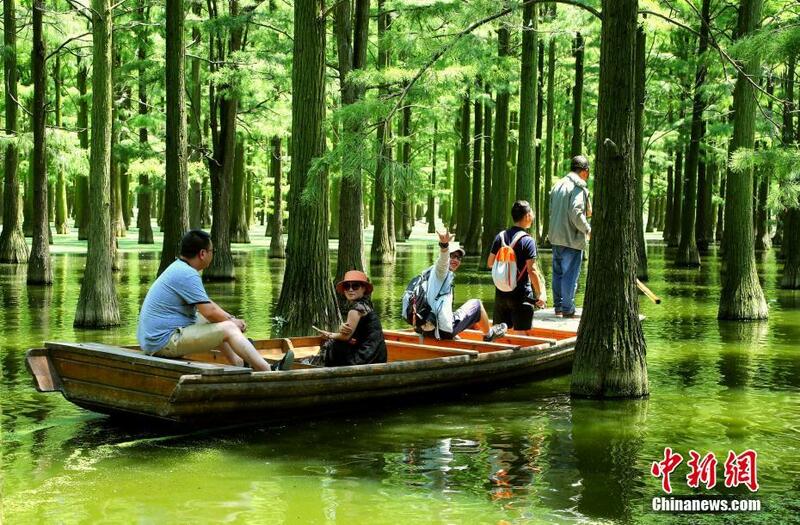 It’s a natural freshwater lake reserve which also attracts rare migrating birds from the Asia Pacific region looking for a place to spend the winter. Another set of math textbooks are about to be introduced to the UK after a former English version of a popular set of Shanghai math books proved to be very welcomed in the UK. The new book series, named “5 Minute Math Mastery”, will be jointly published by HarperCollins Publishers LLC and the publishing house with East China Normal University. The books focus on training learners’ mental calculation. 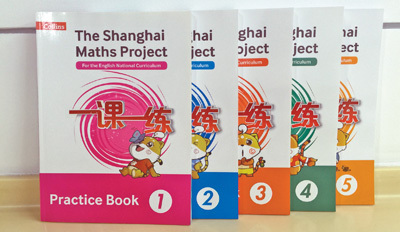 Like the English version of books “Shanghai Maths One Lesson One Exercise”, the new books will also be adapted and translated according to the national curriculum standards of the UK. The series of 24 books will be used by primary school students from grade one to six. The high-quality content is the fundamental reason for the introduction of the book into the UK, said Ni Ming of East China Normal University Press. “The good reputation of ‘Shanghai Maths One Lesson One Exercise’ books makes them stand out for HarperCollins, said Fan Lianghuo, editor-in-chief of the English version of the books. The books were put on shelves via Amazon UK in August 2017; by the end of 2017, more than 40,000 volumes of the books were sold. Other Chinese supplementary study books are also welcomed. 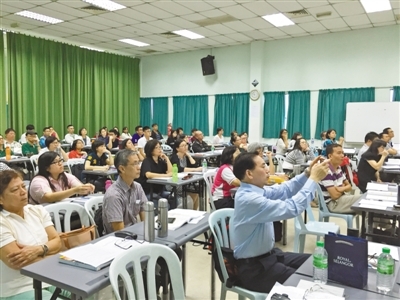 For instance, about 50,000 students in Malaysia are using a whole set of science study materials published by Zhejiang Education Publishing Group based in Hangzhou. Fan said more than 10 teachers from the UK were invited to translate and edit the books together with Chinese experts, to make sure that the contents reflect Chinese math education and are well-received by the UK learners. “I was told that my son may never learn math well. But I saw him quickly doing five pages of the magic math book upon getting it. I’m glad that we are using the book and we’ll buy more,” a parent commented under the sales page of “Shanghai Maths One Lesson One Exercise” books. China’s education concept and methods also go abroad along with the introduction of the books into foreign countries. An expert who proofread the English version of the “Shanghai Maths One Lesson One Exercise” books said the integration of education resources and methods will be a trend in the future. 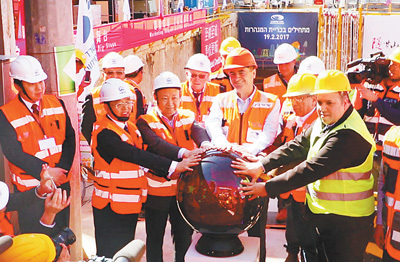 Chinese railway technologies are helping the Israeli city of Tel Aviv build its own light rail project and alleviate traffic pressure. The Red Line project, which commenced in 2015, is the first light rail project in Tel Aviv. Crossing through the busiest districts of the city, it will be a line with the largest passenger volume, the greatest portion of underground sections and the toughest technological challenges. The project will greatly relieve the city’s traffic congestion when it is completed in 2021. China Railway Tunnel Group (CRTG) won the bid to build the light rail in May 2015, and it had broken through the three major tunnels that will be used by the line before the end of April this year. The administrative manager of the project, Li Qiang, told People’s Daily that the project has a very high requirement on settlement control, since most parts of the transit system are under the city’s major roads. As a result, the Chinese construction company adopted stable and reliable designs, successfully keeping the settlement within 3.5 millimeters. Six shield tunneling machines have been used in the project, all of them being independently developed and produced by China Railway Engineering Equipment Group Co., LTD (CREG), according to Li. “I didn’t feel any vibration when the shield tunneling machines were working, and I was standing right on Israel’s busiest Ayalon Highway,” said an Israeli officer. Israel’s public transportation organ predicted that public transit use during rush hour in Tel Aviv will increase to around 40 percent from the current 20 to 28 percent upon completion of the project, and use of private cars will decrease by 12 percent. In addition, the light rail will reduce commute time in Tel Aviv by half. By 2030, when the city caps its rail transit system, it’s estimated that a total of 1.4 million citizens will take the metro each day in Tel Aviv, a city that accounts for 40 percent of Israel’s population and half of the country’s employment. Israeli project employee, Hill Tobe, said that what the Chinese have done is remarkable. Many people doubted whether the soil in Tel Aviv is qualified for metro construction, but the Chinese have made it possible, he added. Chinese railway enterprises, together with Israel’s largest public transport operator Egged Bus Cooperative, won the bid to operate the Red Line last December. It’s the first time that Chinese companies have participated in the city rail transit operation of a developed country, which marks China’s strong international competitiveness in foreign market. The U.S. 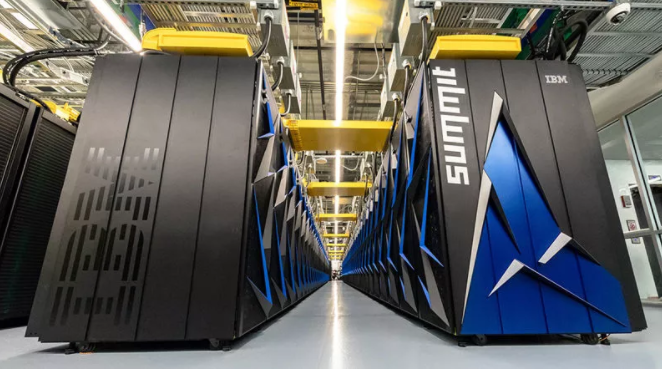 Summit supercomputer overtook China’s Sunway TaihuLight, becoming the world’s fastest computer of its kind, said the latest World’s 500 Fastest Supercomputers ranking. The biannual ranking, released on Monday, said that the Summit has a sustained theoretical performance of 122.3 petaflops on the High Performance Linpack (HPL) test, with a transient maximum of 187.7. “Summit” is going to have a profound impact in energy research, scientific discovery, economic competitiveness and national security, said U.S. Energy Secretary Rick Perry. It will be open to select projects this year, and a number of applicants have already registered for the program. However, China’s new generation of supercomputer, Tianhe-3, which is expected to be ready by 2020, will probably get China back on top of the list. 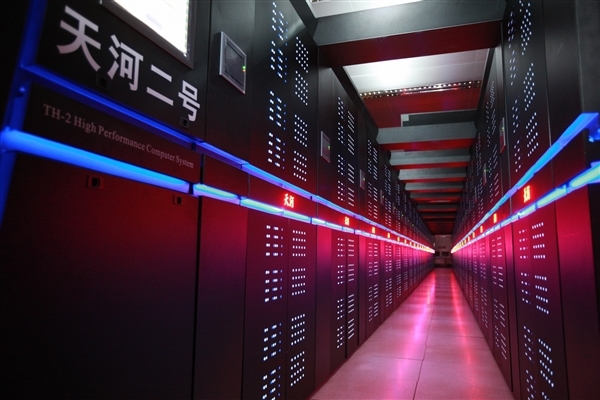 The prototype of the new supercomputer debuted at the 2nd World Intelligence Congress in north China’s Tianjin this May. Tianhe-3 is expected to be the world’s first exascale supercomputer, or E-class supercomputer. Exascale supercomputers will play a major role in dealing with common challenges such as energy shortage, pollution and climate change. Sierra, a new system at the DOE’s Lawrence Livermore National Laboratory, took third place, delivering 71.6 petaflops on HPL. It was followed by China’s Tianhe-2 and Japan’s AI Bridging Cloud Infrastructure (ABCI) system. 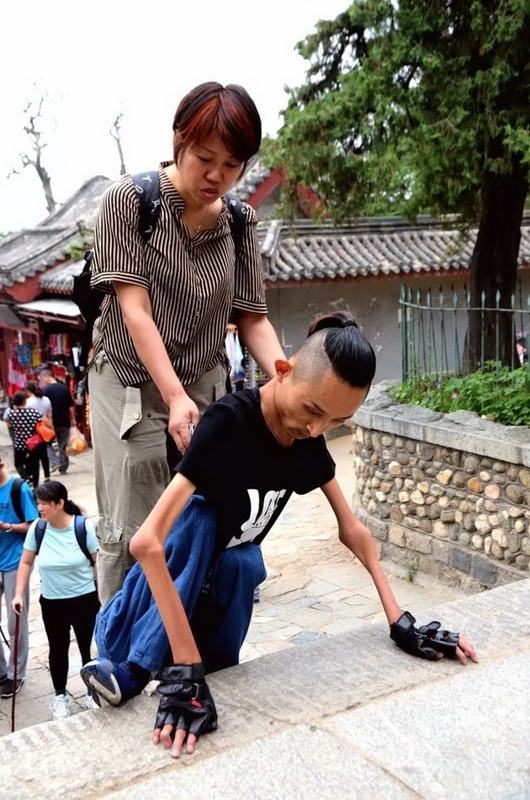 A young Chinese man with Amyotrophic lateral sclerosis (ALS) recently realized his dream of ascending the summit of Mount Tai, one of the Five Great Mountains of China, located in the eastern province of Shandong. On June 17, 2018, Zhang Wei, who weighs only 25 kilograms, finally reached the top of the great mountain with the help of a volunteer after over 10 hours of climbing. During the climb, he had to make much more effort than the average man, using his fleshless arms to prop up his body. Though sweat dripped into his eyes and the coarse surface ground into his palms, the tough man didn’t stop climbing. “I just want to do something meaningful while I’m alive, so that there’s no regret for me when I lose my capabilities,” Zhang said. Learning this young man’s story, many netizens were touched by his spirit. One user commented that there’s no mountain taller than man, and no road longer than legs. Zhang is only one of many who suffer from ALS. ALS patients have functional brains but will gradually lose their ability to move. As the disease progresses, they are barely able to move their eyeballs. Though they have physical defects, ALS patients are still living their lives to the fullest. A Peking University doctor, who died at 29 because of ALS, always kept a smile on her face and even decided to donate her organs. “The value of a life should not be measured by its length, but by its quality,” she said. 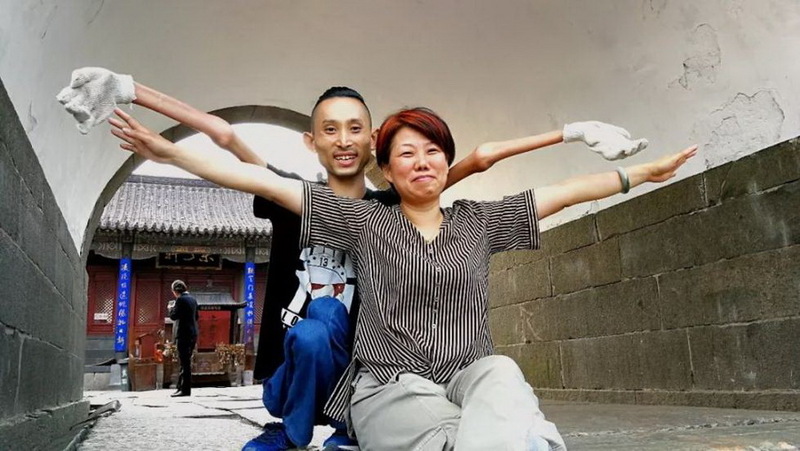 A woman named Yuan Min from the southwestern Chinese city of Chengdu kept practicing archery after being diagnosed with ALS. “I can’t walk with my feet but I can still bend the bow with my hands,” she said. Even though she has now lost all muscle function, she still watches her friends shoot arrows. She says she can feel the fulfilment when they hit the target. 59-year-old Polael starts her day at 7am, making auto parts in a workshop in Watertown, Connecticut. It’s hard to believe that 10 years ago, she and her workmates were on the verge of losing this job. Global Steering Systems, the U.S. company which Polael works for, was close to being closed down due to a problem in the capital chain. In 2009, Wanxiang America Corporation, the Chicago-based arm of China’s Wanxiang Group Company, took over the business, saving U.S. factories and secured thousands of jobs for American workers. Decades ago, Wanxiang Group Company was only an agricultural machinery repair factory. It was China’s reform and opening up that allowed the Chinese company to go to the U.S. and pull the company out of trouble. Wanxiang established in 1969 in Zhejiang city of east China’s Hangzhou province, expanding its auto part manufacturing business to the U.S. in response to the reform and opening-up policy. In the early years of reform and opening-up, Chinese products were exported via commerce companies, but the latter had only sales departments and lacked marketing departments, resulting in insufficient understanding of products and a waste of money and time, said Ni Pin, president of Wanxiang America Corporation. Ni said the then president of Wanxiang told them to work hard to become capable of making products of the same quality as their U.S. counterparts. Now, Wanxiang America owns 21 factories in the United States. It has become the largest China-invested company in the middle and west of the states with its business covering various spots of auto manufacturing. It is estimated that one out of every two cars manufactured in the U.S. is supported by Wanxiang auto parts. Ni said Wanxiang has saved many U.S. companies on the verge of bankruptcy, learnt advanced technologies and built a good reputation in the country. Reform and opening up has triggered the sense of competition among Chinese enterprises and enhanced their adaptation to globalization. Global Steering Systems found itself back on track after receiving help from Wanxiang. 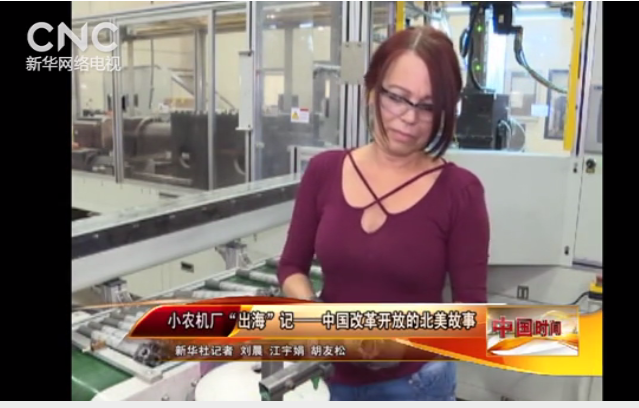 Since then, the company has built factories in Mexico, Poland and China, said the CEO of Global Steering Systems. Now enterprises in 25 U.S. states are Wanxiang-invested or acquired, with a total local staff of 9,000 people. To show gratitude to the Chinese company, the state of Illinois named August 12, 2002, “Wanxiang Day”. Wanxiang is just one of the many Chinese companies going abroad following the tide of reform and opening up. According to the report, the cumulative value of U.S. FDI (foreign direct investment) in China reached $256 billion between 1990 and 2017, while the cumulative Chinese FDI in the U.S. totaled $140 billion in the same period. According to industry insiders, besides creating job vacancies for local people, Chinese companies such as automaker BYD have invested in relatively poor areas in the U.S. to help more people get employed. In the past, the Chinese companies hoped to learn about technologies and increase sales through their acquisitions, but now they pay more attention to the brands and opening more sales channels in a bid to expand their overseas market. Ni thinks reform and opening up has not only propelled Chinese manufacturing to upgrade, but also made U.S. manufacturers develop from just offering services to focusing on their own strengths. In 2013, Global Steering Systems opened a plant in Changshu in east China’s Jiangsu province. The supply and development head of the company said recruiting Chinese engineers highlighted the company’s advantages because they know China well. Lu Weiding, chairman of Wanxiang, said the company has gradually transferred its role from an investor to a magnet of investment that attracts foreign equities and distributes the work. At the beginning of the reform and opening up, China played the role of recipient of U.S. investment. However, as the reform deepened and the opening up broadened, the China-U.S. investment has become two-way. In 2016, Chinese enterprises invested $46 billion directly in the U.S., a record high; and the U.S. companies’ annual investment in China has stayed at $13 billion per year. “In the current world, countries need each other,” said an economy official in Watertown, who has learnt from the acquisition of Global Steering Systems that the U.S. should abandon the idea that it “can do everything independently”. China’s remarkable progress in rice technology is driven by innovation, it being only one part of a broader picture of success. Renowned Chinese agricultural scientist Yuan Longping and his research team’s experiment of planting saltwater-tolerant rice in desert areas of Dubai proved to be a success, with one type of rice yielding more than 7.5 tons per hectare. It was the world’s first successful case of planting rice in a tropical desert area. According to the cooperation plan, the rice is scheduled to cover more than 10 percent of the United Arab Emirates. The rice will not only raise the country’s capability to feed itself, but will also improve the local environment. The Chinese rice technology was widely applauded by media in both the Middle East and around the world. The “Chinese rice miracle” has become a global phenomenon. Last year, China’s two-meter high “giant rice” made headlines in many media outlets. Hybrid rice, which is a global record holder in terms of its yield per hectare, also amazed the world. “Who will feed the world in the 21st century?” a U.S. researcher with the Worldwatch Institute asked 22 years ago. The answer to that question seems very obvious now. China is not only increasing rice yields steadily, but is also making breakthroughs in agricultural technologies. Take hybrid rice as an example, the rice has not only fed 70 million people in China, but has also been introduced in India, Vietnam and the Philippines among other countries and regions, now being grown on a large scale. 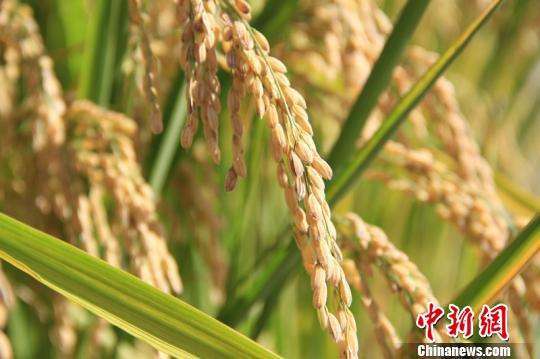 Last year, the yield of sea rice per hectare reached 415 kilograms in China. It’s estimated that if sea rice is planted on around six million hectares of land, its yield of 30 billion kilograms of rice per mu (0.07 hectare) could feed 80 million people. How could a little rice seed make China stand out? It is technology innovation that spurs agricultural progress. The story of Chinese rice going global is also a story of Chinese technologies going abroad. For instance, in Dubai, Chinese technologies enable the water and fertilizers to automatically reach the roots of rice plants while the unabsorbed water fertilizers that seep out of the soil will be directed for recycling. The smart irrigation system can control the amount of water and fertilizer based on the demand of soil conditions and other factors. Technological innovation has made impossibilities become possible one by one. China’s progress and development has surprised the world in a good way, with the little rice seed as just one example. Other cases include the launch of Huiyan, or Insight, China’s first space satellite, the takeoff of the large homegrown passenger plane C919, the successful development of the quantum computer and the sea trials of China’s first homemade aircraft carrier. From running after other countries to finding itself ahead in the race, China has changed its role in developing edge-cutting technologies. Emerging technology could make China the world’s next innovation superpower, The Hill of the U.S. said. The essence of innovation-driven development is talent. Chinese scientists, including Qian Xuesen, Deng Jiaxian, Yuan Longping and Tu Youyou, have made great contributions to not only China but also the world, and used positive energy to improve the well-being of mankind. 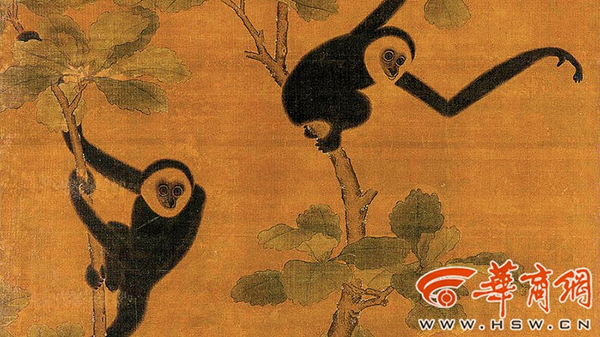 A new species of gibbon, long-extinct, has been discovered in a 2,200 year-old tomb in Xi’an, western China’s Shaanxi province, a study co-conducted by Chinese and UK scientists shows. The discovery was published in Science magazine on June 22. 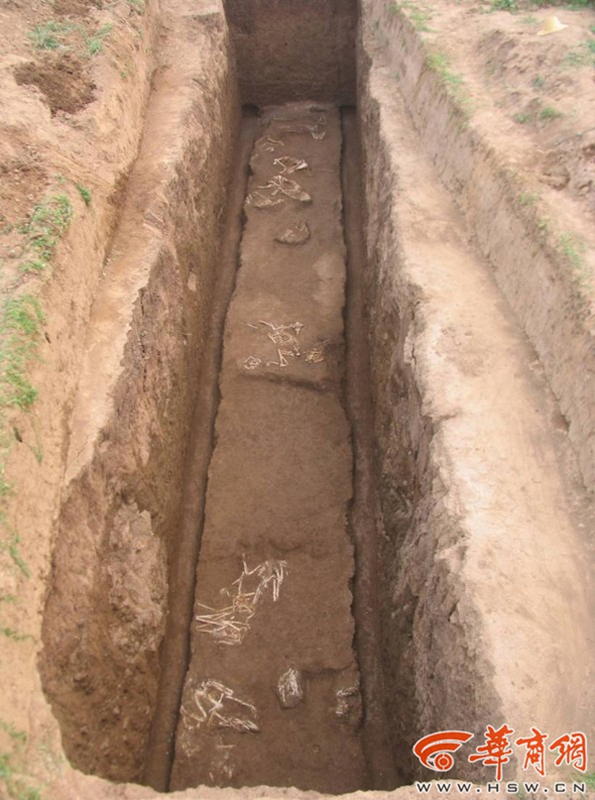 According to the publication, the tomb belonged to a Chinese noblewoman who was the grandmother of China’s first emperor Qin Shi Huang, who famously united the independent states of what is now central China in 221 B.C. 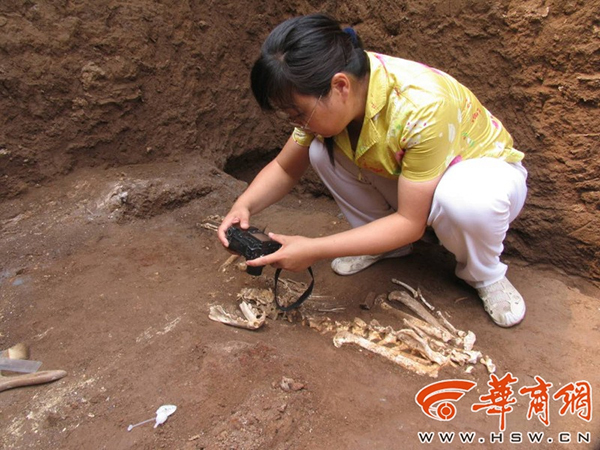 Zhang Tian’en, the head of the archaeological team that participated in the excavation, said the unearthing and excavation lasted from 2004 to 2008. He added that apart from relics, substantial animal skeletons were also found. 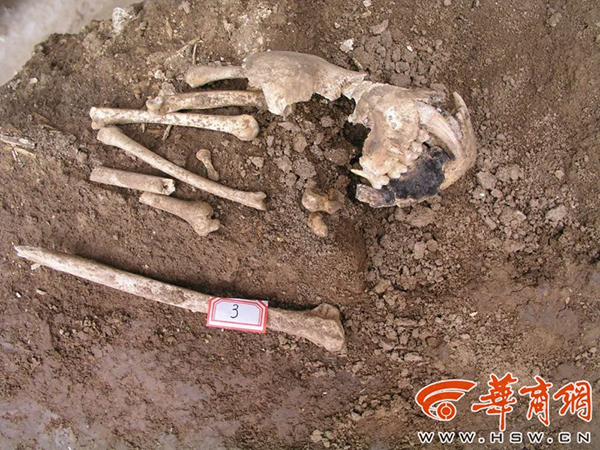 Researcher Hu Songmei, from the Shaanxi Provincial Institute of Archaeology (SPIA), believes that the animals were caged before they were buried, and a bear was even chained. She said these animals were probably kept as pets when they were alive. “The discovery of the skull, lower jawbone and arm bones of a primate excited me, since primate skeletons are hard to find,” said primate expert Zhao Lingxia from the Institute of Vertebrate Paleontology and Paleoanthropology (IVPP), Chinese Academy of Sciences (CAS). She confirmed the skeletons were from a gibbon but was not able to identify the specific genus. Thanks to the collaboration between SPIA and UK scientists in 2012, the real identity of the gibbon has since been exposed. After 3D modelling and comparing the skeleton to hundreds of modern gibbons over a number of years, researchers finally confirmed that the gibbon was a completely new species. The species was named Junzi imperialis. Hu said the confirmation of this new species is only the beginning, and scientists will conduct further DNA research to identify its relation to modern gibbons. Shanghai is making continuous progress to build itself into a global shopping hub. 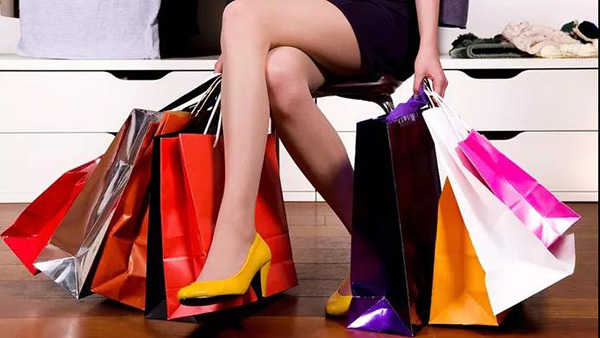 Secretary of the Shanghai Municipal Committee of the Communist Party of China (CPC), Li Qiang, recently stressed that the city should offer consumers the trendiest brands, an optimal shopping environment and the most cost-efficient products to attract more international customers. Shanghai has so far gathered a number of high-end international and domestic brands. As of 2018, 55.3 percent of international retailers are doing business in the city, meaning Shanghai now ranks second in the world, with 90 percent of high-end international brands opening stores there. In 2017, Shanghai was the destination of first launches for 1,265 domestic and foreign brands, and 50 percent of international brands entering the Chinese market chose Shanghai as the first city to establish franchise. In addition, Shanghai is the largest Chinese city when it comes to the retail of consumer goods, and it also has the largest volume of online sales among Chinese cities. 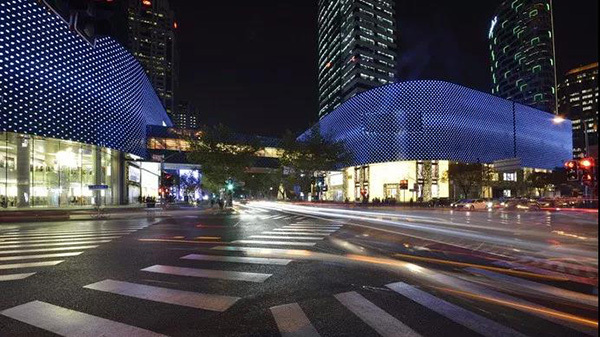 Despite remarkable achievements the city has made thus far regarding the branding of its shopping environment, the Shanghai Municipal Commission of Commerce pointed out the city’s defects when compared with other major international shopping hubs. The city is in short supply of public platforms that release information about new products. In addition, exit and entry services for newly released products should be further enhanced. For example, many foreign cosmetics producers have to wait for at least a year before they can introduce their products into the Chinese market. 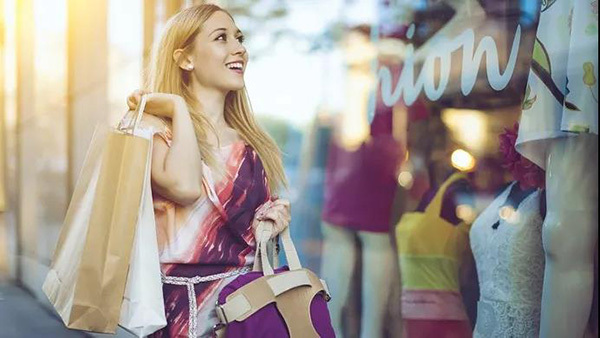 This June, Shanghai government started a campaign to build a full value chain that integrates the release, exhibition, promotion, trade and sale of new products, in a bid to attract more global brands. 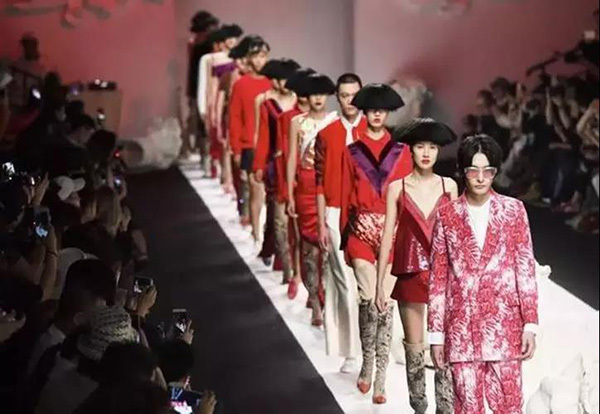 The city will establish a batch of professional platforms to promote launching products, encouraging influential brands and designers to release their products in Shanghai. In addition, new organizations and systems dealing with launching products will also be established to facilitate the sales of foreign products in the city. It is believed that with these changes, Shanghai will finally be built into a global shopping heaven.